Did you know the San Jacinto monument is taller than the Washington monument? Texans generally love to boast that everything is ‘bigger and better’ in Texas. Sometimes this is just eager pride and sometimes it’s truly fact as it is in the case of both the Capitol building and the San Jacinto Monument. 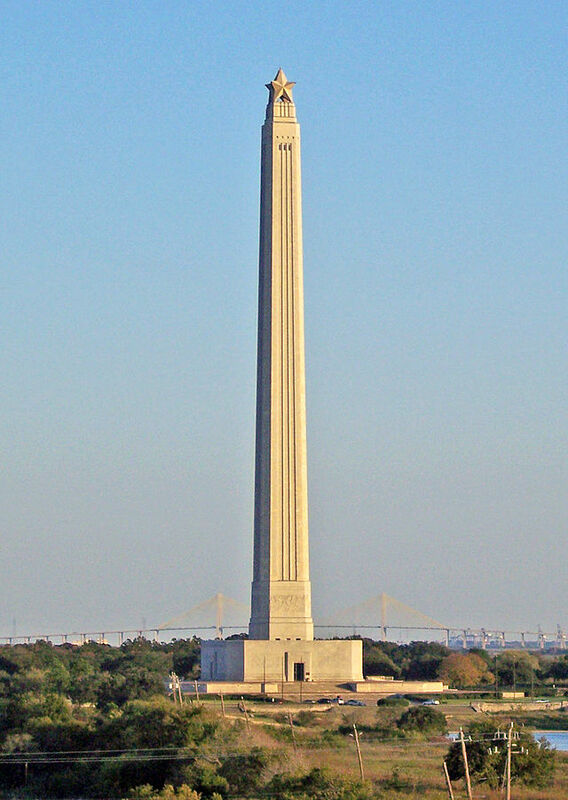 The San Jacinto Monument is a 567.31-foot high column located on the Houston Ship Channel in unincorporated Harris County, Texas, United States, near the city of LaPorte. The monument is topped with a 220-ton star that commemorates the site of the Battle of San Jacinto, the decisive battle of the Texas Revolution. The monument, constructed between 1936 and 1939 and dedicated on April 21, 1939, is the world's tallest masonry column and is part of the San Jacinto Battleground State Historic Site. By comparison, the Washington Monument is 555.427 feet (169.294 m) tall. The column is an octagonal shaft faced with Texas Cordova shellstone, topped with a 34-foot (10 m) Lone Star – the symbol of Texas. Visitors can take an elevator to the monument's observation deck for a view of Houston and the Battleship Texas (see USS Texas). The San Jacinto Museum of History is located inside the base of the monument, and focuses on the history of the Battle of San Jacinto and Texas culture and heritage.